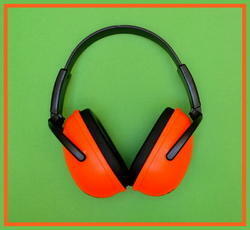 In many industrial companies , hearing protection is necessary for employees to have a safe work environment. 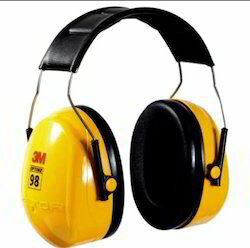 As part of Industrial safety top quality ear protective equipment devices offers safe, effective hearing protection . From ear plugs to industrial ear muffs, products are designed to fit a wide range of applications. 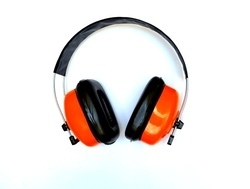 You can make hearing protection available for all workers to improve and maintain safety standards on the job. 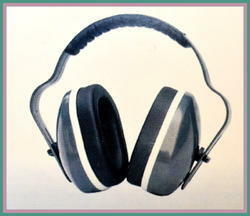 Reduce hearing loss with hearing protection from Sai Safety & Wokswear. Choose from ear plugs, ear muffs, and banded hearing protection. 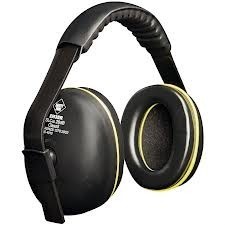 Save on a wide variety ear plugs Find ear muffs that fold, mount on hard hats, manage sound. Real values in hearing protection do exist at Sai Safety & Workswear. 10.FOB loading port: Shanghai or Ningbo usually, but can follow customer's instriction of any China port. 11. The goods under every order will be strictly inspected by our inspectors, the photos of cargo will be offered to customer before shipping. With soft acoustic foam-filled cushion provides a good seal for protection against harmful noise. Color: Red, orange, yellow, green,blue are available. 3M(TM) Earmuffs 1436 with foldable headband, are designed to be comfortable whilst being an economical option for customers. 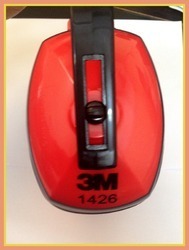 Bright red coloured ear cups help increase visibility and improve compliance. All plastic easily disassembled for cleaning for a more hygienic earmuff for the wearer. 3M 1110 corded foam earplugs feature soft, hypoallergenic foam and a tapered design to fit comfortably in the ear canal. Equipped with a comfortable, cloth cord to help prevent earplug loss. 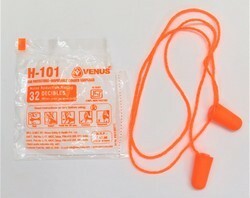 Soft, corded foam ear plugs that conform to the unique shape of each ear for excellent hearing protection and comfort. Features a cord for convenience and to prevent loss of ear plugs. Recommended for moderate to high noise (up to 100 dBA TWA). Noise Reduction Rating (NRR): 29 dB. 3M(TM) is versatile, over-the-head earmuffs featuring a stainless steel headband for consistent force and effective hearing protection. A versatile, over-the-head earmuffs featuring a stainless steel headband for consistent force and effective hearing protection For noise levels up to 98 dBA. - Stainless steel construction resists bending and warping. - Earcup pivot points tilt for optimum comfort and efficiency. - Ultra light with liquid/foam filled earmuff cushions. - Color-coding for compliance sighting. 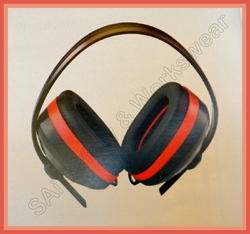 - Noise Reduction Rating (NRR)* 25 dB. CSA Class A. *The NRR may overestimate the hearing protection provided during typical use. 3M recommends reducing the NRR by 50% for estimating the amount of noise reduction provided. 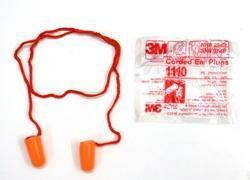 3M is Leading the Advancement of Hearing Conservation(TM). Based on the skills of our skilled professionals and creative workers, we bring forth an exclusive range of Ear Plug. Our offered range is widely used to avoid noise pollution in various noise producing industries. The products offered by us are available in different sizes, diameters and finishes as per the demand of our clients. A team of our skilled professionals fabricate the offered range making use of high grade raw material. Apart from this, clients can avail these products from us at leading market prices.